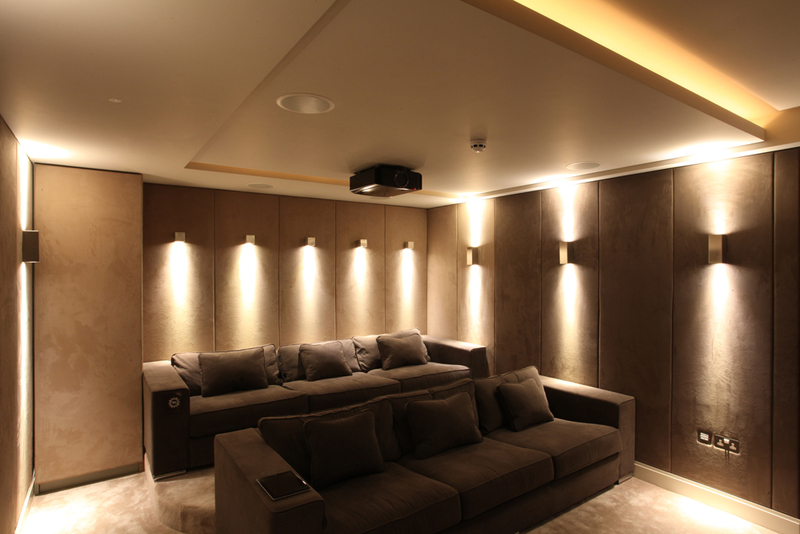 The first BIID Private View CPD took place this week at an award-winning private residence in Kensington in association with John Cullen and CEDIA. The exclusive member-only event toured this unique, innovative and award winning project. The evening event included a guided tour of the property in addition to talks from our Design Director, who designed the lighting scheme, Krystian Zajac, from It’s Done Technology who carried out the home technology integration, and Arek Palka, from A P Arcon Construction who headed up the design and build team for the project. 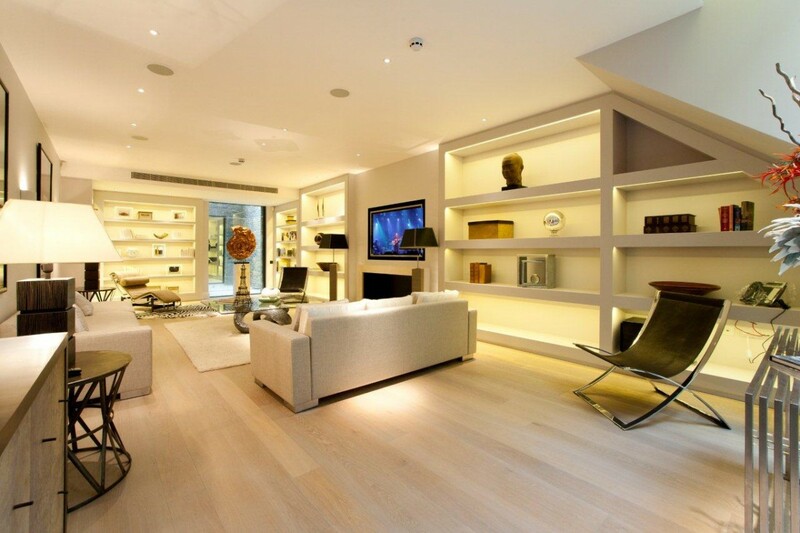 Currently on the market, the property is one of the few triple basement homes in London but features innovative use of natural and artificial light throughout. 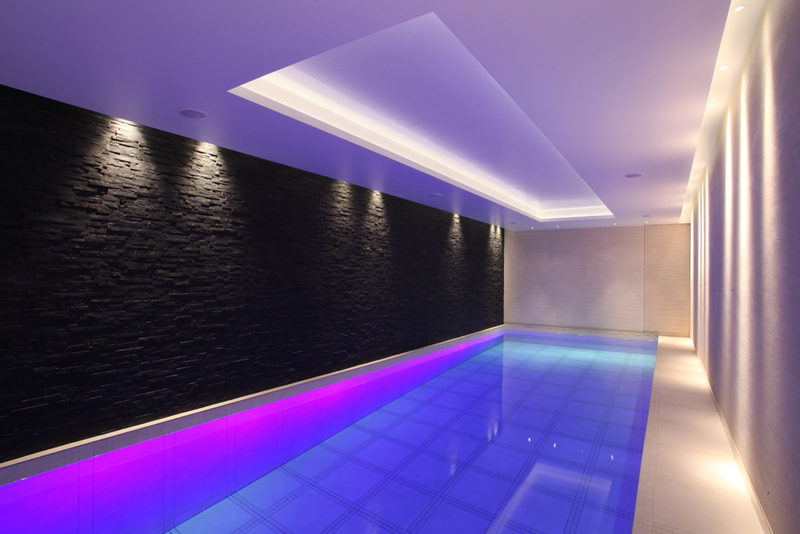 It includes a home cinema which doubles as a secure, panic room in addition to a ballroom which turns into an adjustable depth swimming pool at the touch of a button. The cinema room doubles up as a panic room in the basement. Retro fit LED lamps were used within Metal Squares and Metal Cubes chosen as low heat alternatives to not harm sumptuous wall fabric. The key to the project was the discreet lighting in the sculptural staircase which reinforces the important architectural task of pulling all the floors together. 1w LED Rivas were used to wash light over each second tread and 1w LED Luccas were used to uplight curved under stair features and downlight cleverly positioned niches. 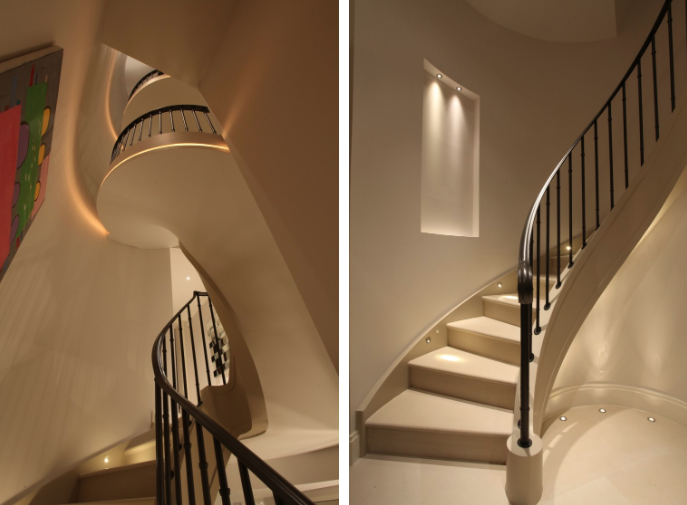 Lightstream was discreetly inserted into curved grooves to emphasise the form of the staircase. 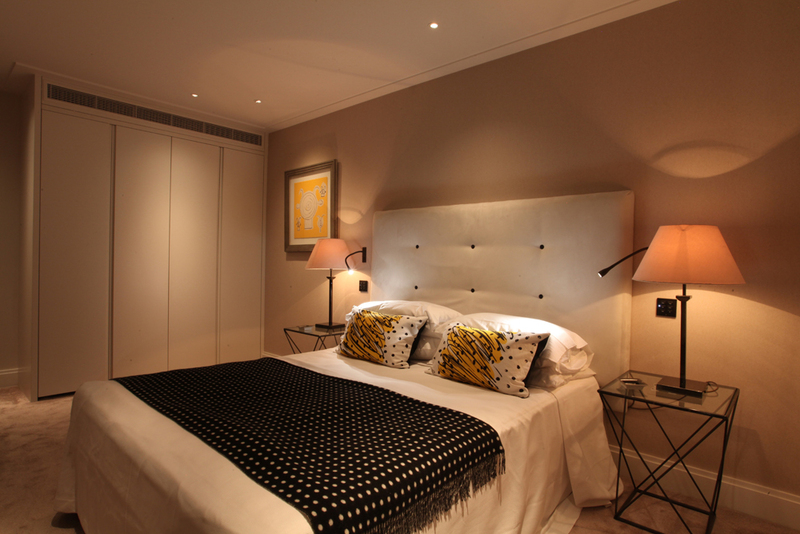 In the bedrooms a combination of Cama Bedside Reading lights were used along with Polestar downlights positioned to wash light across the front of cupboards and light artwork. 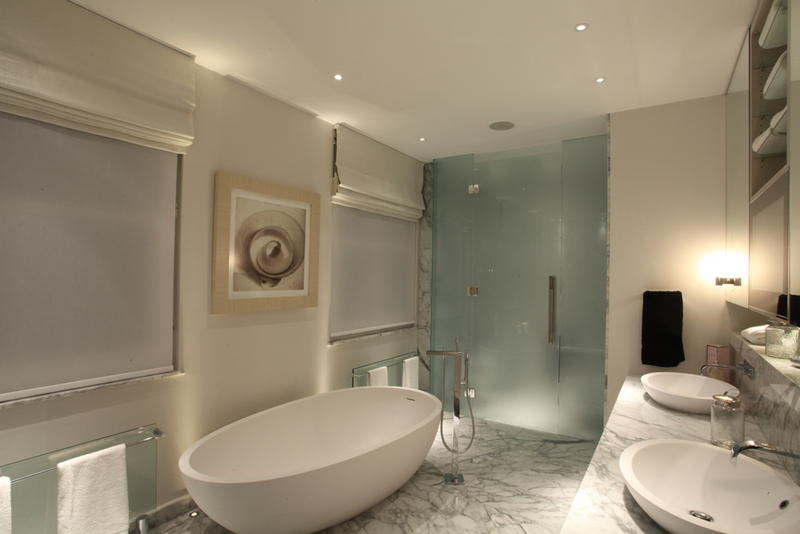 The master bathroom, also doubles as a panic room and features a layered lighting scheme to provide versatile lighting to suit different times of the day. Careful circuiting of the lighting throughout coupled with the use of the lighting control system was designed to make a very large house easy to use, as well as being a joy to live in.